Welcome to the American Association of Notaries, the largest* Texas based notary organization. Since 1994, we've helped more than 300,000** customers become Texas notaries public. 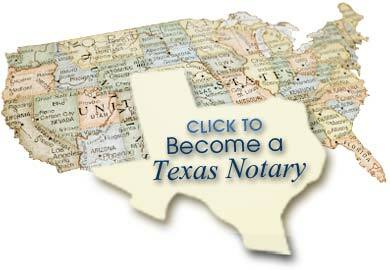 We're here to help you become a Texas notary public! Our mission is to make your experience as a Texas notary public a protected and rewarding one. We have assisted thousands of Texans in obtaining or renewing their notary public commission, and we look forward to serving you. We are your complete source for notary supplies, bonds, education, errors and omissions insurance policies, service and expertise! We will keep you up to date on Texas notary law with seminars, educational material, membership, and our online newsletter. We are the voice of Texas notaries. * Statistics are based on information supplied by the Texas Secretary of State on the number of Texas notaries commissioned between the years 2005-2008. ** Information is based on research conducted by the American Association of Notaries, Inc. in April 2009, on the number of help requests received by telephone, emails, or by mail, and on the number of notary bonds issued between the years 1995-2008. Education - The American Association of Notaries is dedicated to making sure that notaries everywhere understand their notarial duties and powers. We offer a variety of educational materials to meet your needs. Advocacy - The notary laws that govern our duties as notaries public should be revised as economic, technology, social, and other issues impact the notary industry. AAN is pleased to represent notaries in Texas as lawmakers consider enacting new laws affecting notary public practices. Service - We believe that customer service sets a company apart from its competitors. That's why we strive to offer you top-quality products at reasonable prices and with an emphasis on personal service. Membership - We urge you to join the American Association of Notaries today and be part of a Texas organization that effectively promotes the office of notary public.